This is It! has always been a favorite place for my family to get good old fashioned, down home Soul Food. For years, we have enjoyed their wonderful service, warm food, and even warmer smiles. They have always been courteous toward me and my family and it was a pleasure to give them the $10 to go toward their business. 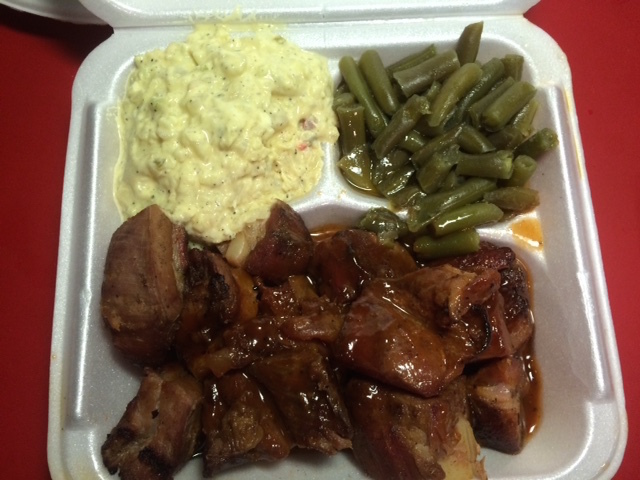 One night, this week, we decided to treat ourselves to their fabulous rib tips with green beans and potato salad. As aways, it put a smile on his face.